Ever since Teddi equipped the Admiral's cap, I've been working to fit him out as a pirate. 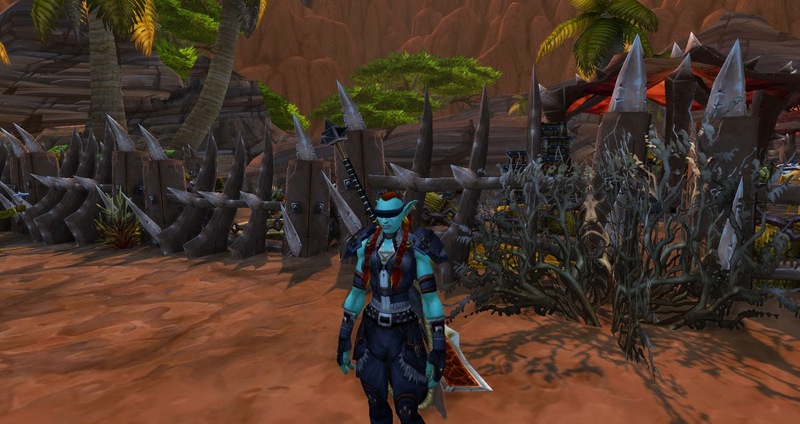 So far, it's been a matter of looking at the AH, for stuff that I 'think' looks pirate-y. Oh, look this bracers, or this chest piece. Boo. 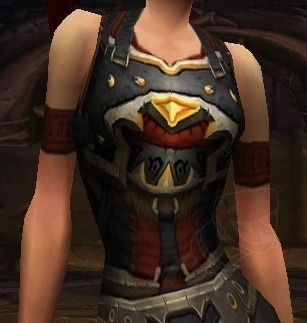 I had found the a chest piece at a vendor in town, only to find that it's not xmog-able. But of course. Then I went and started searching the AH, found a vest, and it's cloth and "can't be used to provide look for this item." Bleh. Back to Wowhead, I found a comment pointing over to WowRolePlayGear.com. Over here they have 'builds', how hard it is to complete (BOE, crafting and some luck). With that I've fallen in love with "PIRATE IV', an alliance only (OMG REALLY?!) set posted back in 2012. The centerpiece of this set is the chest, Knightbane Carapace. Problem being it's a rogue class chest, so there's a different model for the horde vs the alliance. So even if I send my alliance toon over to get the item, it appears that my horde monk won't even be able to use it. Ok, I see how it is.. Blizzard loves the Alliance, despite what people say about Orc love. How about something I already have used. Looking at my Discovery armor set I did for my druid. The chestpiece has buckles, it's leather and on a big furry male panda, it wouldn't, say, look like a bikini. So I started searching for sets that used this piece. Happily, there appear to be several color variations of the item, ranging from white, brown and black. The brown, Swindler's Vest is a quest reward available to both Alliance and Horde. 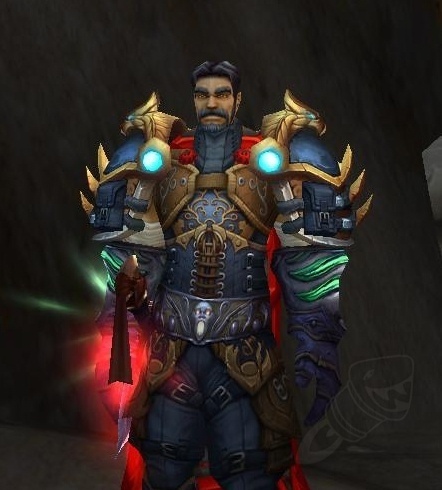 Oh, wow, look at this xmog! Ok, the Draenor PVP belt is perfect. Little dagger as the buckle (just don't use it as a panda and have your pants fall down). (Wait! The belt is MAIL! I thought I recognized this..hunter) The pants are alliance only (sigh). So, how about something like this? Chest - quest reward - starts here -- quest chain contained about 15-20 quests, focusing on the main quest chain. Starts in duskwood, take free taxi to 1000 needles, grimtotem, canoe, start bar fight, put out fires, kill pirates, beat up alliance negotiator, swindle natives, get swindler's vest. leggings - quest reward - starts here (can I get to twilight highlands if I didn't open up other areas?) -- warchief command board, voljin, "machines of war"
shoes - ugh, wrath raid boss drop, 9% but my current boots have the 'cuff'. Just like the detail work. Oh, damn, The Acidmaw BOOTS are ALLIANCE! Where as the Acidmaw Treads are Horde. The treads are black knee socks with a yellow gem at the shin. NEVER MIND.